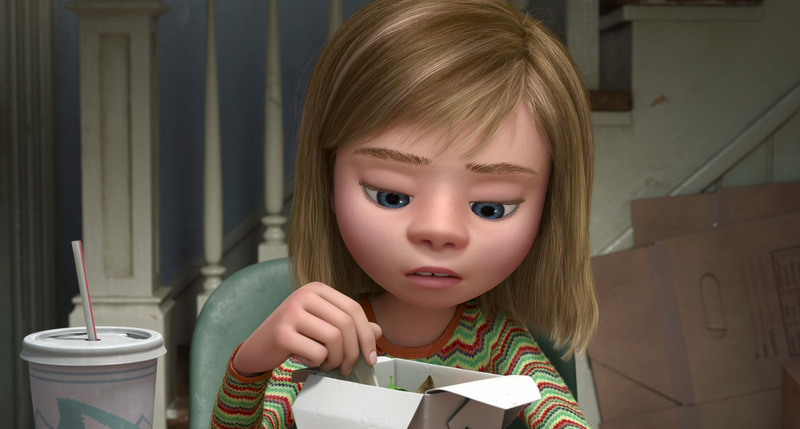 Ever since Pixar announced the concept for Inside Out I’ve been waiting with bated breath. I get excited for almost every Pixar film regardless because THEY’RE PIXAR, HELLO! (Toy Story! Cars! Finding Nemo! ), but given my work as a school counsellor, I was even more pumped than usual. Because it has ALL THE FEELS! Or at least five of the big ones. 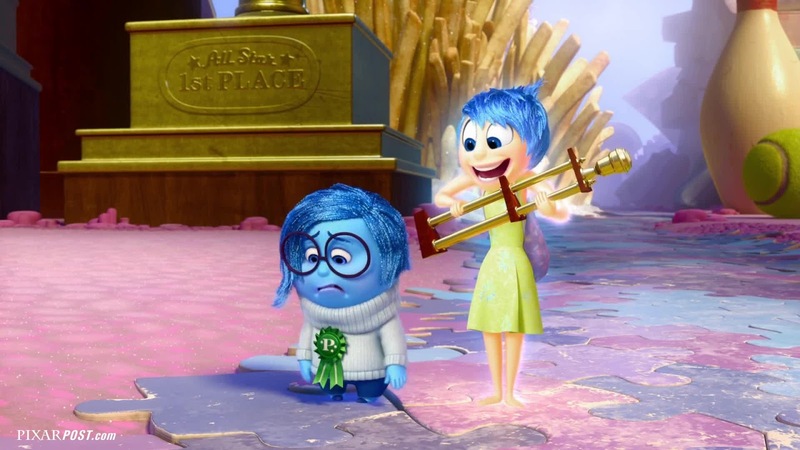 The bulk of Inside Out takes place inside 11 year old Riley’s brain, where five emotions – Joy (voiced by Amy Poehler), Sadness (Phyllis Smith), Fear (Bill Hader), Anger (Lewis Black), and Disgust (Mindy Kaling) – are in charge at headquarters. Up until this point Joy has always taken the lead, resulting in a mostly happy life in Minnesota for Riley. But when Riley’s father gets a job in San Francisco, Riley has to face the challenges of a new home, school, friends, and hockey team, and sadness comes to the fore. When Sadness starts to affect Riley’s core memories which had once been full of joy, Joy attempts to restrain her, inadvertently sending them both – along with some of Riley’s core memories – out of the control room. Without them, Riley struggles to adapt to new challenges, and her Personality Islands start to self-destruct. There aren’t many filmic worlds that could be as fascinating as the human brain, and Inside Out delivers a magnificent insight into its various inner workings – long term memory, imagination, dreams, the subconscious, and personality among others. Given the complexities of the human brain they’ve done a darn good job in simplifying it for a ninety minute feature film aimed at kids. But are they the intended audience? Joy delicately handles a core memory. 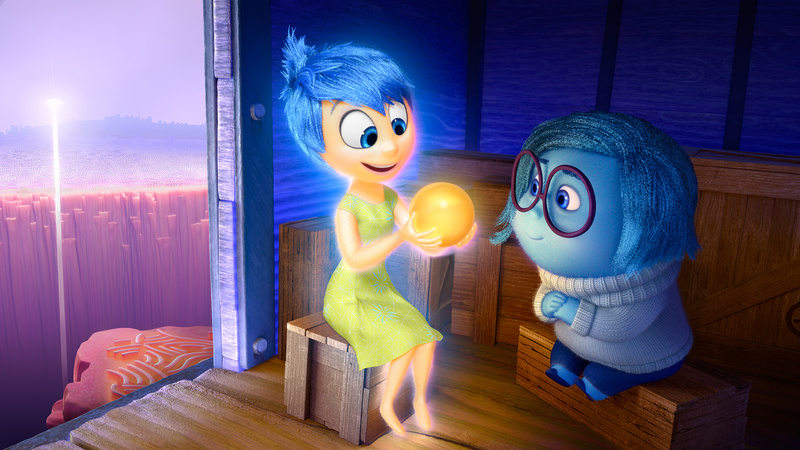 As with other Pixar gems, in many ways Inside Out will appeal more to adults. Kids will delight at the vibrant imagery and funny characters, but there is much that will go over their still-developing heads. Adults, on the other hand, will find much to appreciate in the clever screenplay and are likely to find themselves cacking themselves one minute (the jingle! the dreams! the imaginary boyfriend! ), before attempting to hold back tears the next (Bing Bong the imaginary friend; the value in sadness). Kids will probably gain greater appreciation on further re-watches over the years, and by the time they are nostalgic adults they will probably love it even more than ever before. 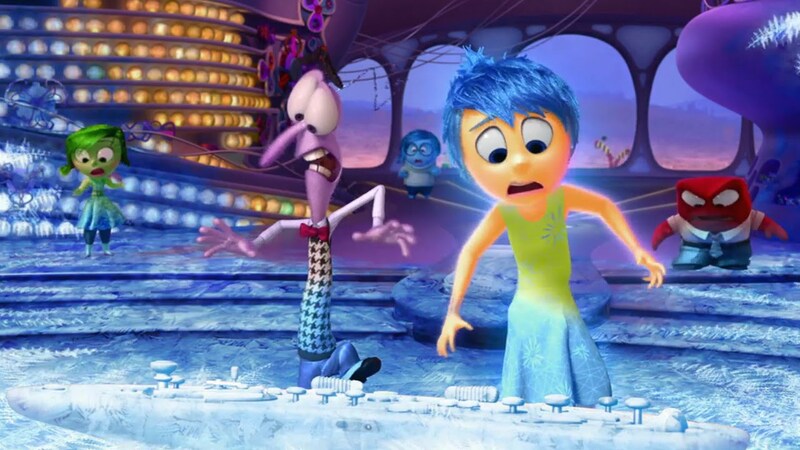 Pixar does seem to make their films with adults in mind, and Inside Out may indeed prove a successful lesson to parents, that is, your child doesn’t need to be happy ALL THE TIME. I felt that the point about sadness being important was a beaut one, but perhaps not quite clear enough for kids to fully comprehend. But maybe Pixar were trying to avoid being too overly preachy, and it’s possible they weren’t targeting those small minds quite as much as we’d assume. Some may be surprised to hear that Inside Out is full of so many clever little gems, that it’s probably necessary to watch it multiple times to get them all. Those that write animated films off as “just a cartoon” are sorely mistaken and missing out big time. Make no mistake, animation is not something to scoff at, and when Pixar are in charge, the potential for brilliance is huge. Inside Out is not a perfect film, because (for necessary reasons) some aspects of the mind were just too simplified and a few little things didn’t quite make sense to my psychologist’s mind. 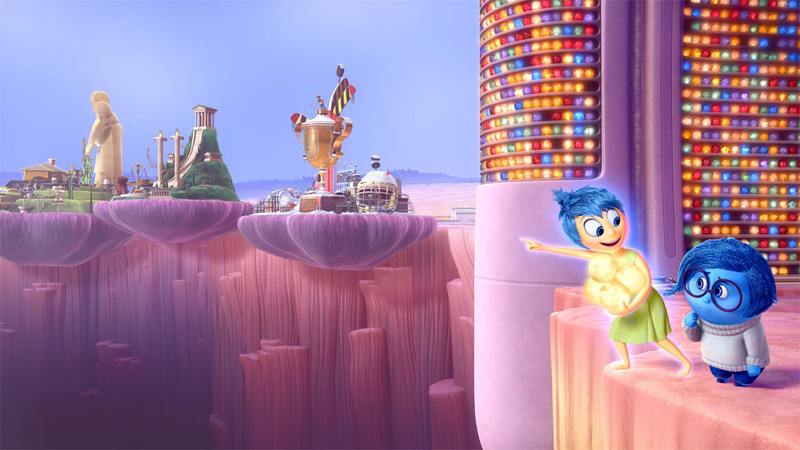 But given the enormity of the concept they were dealing with, Pixar’s end product is a damn near masterpiece. It’s a big call, but this may just be their best film yet.